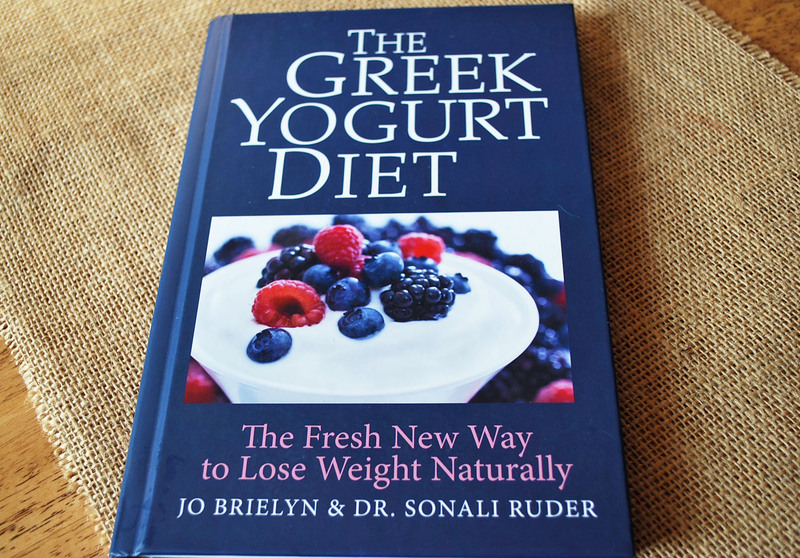 Last week I was so excited to get my copy of The Greek Yogurt Diet in the mail! 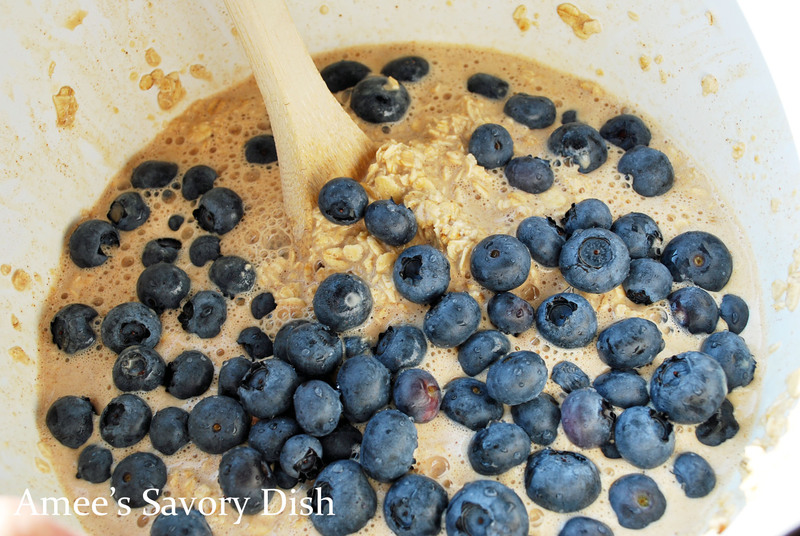 Written by Dr. Sonali Ruder of The Foodie Physician and Jo Brielyn, co-author of Combat Fat for Kids: The Complete Plan for Family Fitness, Nutrition and Health, this book is full of useful tips for healthy weight loss and a wonderful collaboration of mouthwatering Greek yogurt recipes, like this breakfast recipe for Blueberries and Cream Baked Oatmeal. The recipe that I’m featuring from the book is also from a dear blogging friend, Marsha over at The Better Baker. 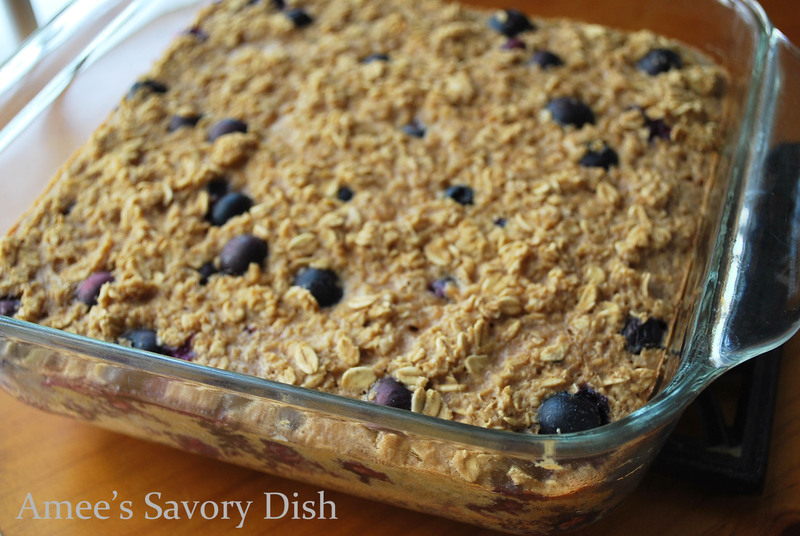 I love baked oatmeal, so when I was browsing through the recipes and saw this healthy breakfast favorite I knew it was the perfect way to use the fresh blueberries I had in the fridge. It’s delicious and very easy to assemble. Just give yourself time to prepare and bake in the morning. If you’re anything like me, I wake up famished and want to eat right away. Breakfast is usually my biggest meal of the day. Get that engine revved up early! Patience is well rewarded when you get to enjoy your warm oatmeal cake. 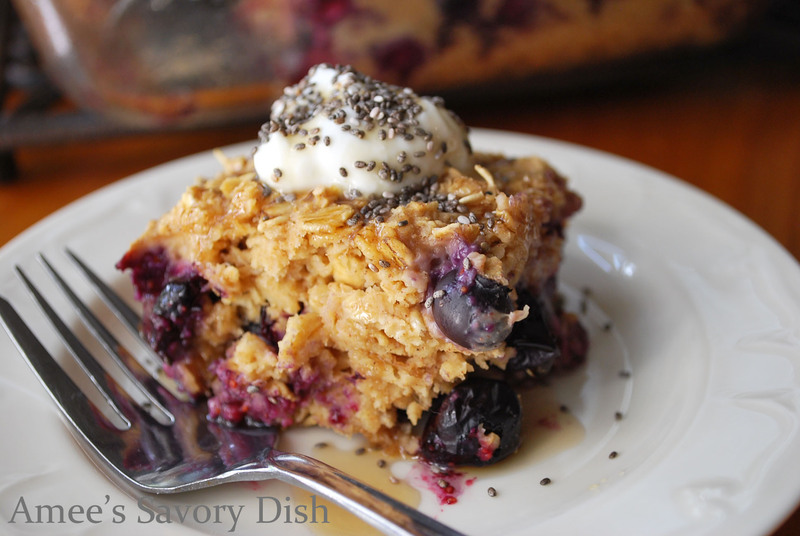 I served mine with a pat of pastured butter, a dollop of Greek yogurt, chia seeds and a drizzle of real maple syrup. A deceivingly nutritious way to start your morning. So good. I’m so excited to see you shared my recipe from this awesome new cookbook…thanks so much for also sharing a link to my blog. I’m making this tonight! I have fresh blueberries that need to be eaten. Thanks for the reminder of this very satifying way to begin the day. Your photos are super! So sweet, Marsha, thank you! I love the recipe! It’s a pleasure to share! Amee, thank you for all of the kind words and support! This post is so lovely and your photos are gorgeous! I’m so happy that you contributed your Grape Salad to the book, it’s such a great recipe.